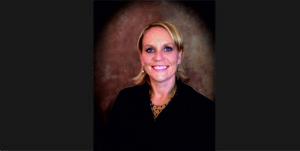 Angela Giles has over 10 years of sales and marketing expertise. Angela has been in the public relations and online marketing arena for the past 9 years. She specializes in emerging social media markets, PR 2.0 campaigns, and Mobile App niche marketing. 1. Please share with us what prompted you to create your website ShowcasingWomen.com? Angela: I started collaborating with Suzanne Duret, the founder of ShowcasingWomen.com and felt it was a natural fit for me. I love helping other women achieve their entrepreneurial mindset and dreams. Angela: Kids off to school , work out then daily power call at 10:30 with biz partners…work through to 5pm – dinner and homework, work from 7 to 9pm – then relax, scripture study with family, and bed. Angela: I can live without anything because I improvise all the time and things are always changing…but I do love my Droid. Angela: 30 min increments – don’t allow anything to interrupt unless it is an emergencd. Angela: None –actually I am very self motivated. 6. Given the current economic climate, what has been your strategy for building awareness of what you do for short term and long term growth? Angela: Give TONS OF VALUE – way more than your competition. Angela: The month I went past $10K – made me feel good. And the time my hubby decided to go back to school and I could support my family entirely! Angela: Major time chunking. I also put time to work for me. My family is very important to me so I involve them in every aspect of my business. Angela: I have them every day because I always help people for free. It builds a relationship that is based on mutual respect. Angela: My husband has supported me from the very beginning. He passionately believes in me. That is enough for me! Angela: Follow your passion, get a fabulous mentor, and don’t be afraid to make changes along the way.